Based on fresh thinking and real world evidence, this book offers a rational method for accounting for the carbon impact of concrete in contemporary architecture. It sets out a series of case studies of different building types constructed in concrete. Based on new thinking and real world evidence, "Sustainable Concrete Architecture" offers a rational method for accounting for the carbon impact of concrete in contemporary architecture. Highly illustrated and detailed in scope, the book marries technical know-how with inspirational case studies. A technical front section looks at recent innovations in concrete technology with a comprehensive, balanced account of the material's embodied energy and impact-in-use. Often maligned as environmentally unfriendly, the technical evidence about concrete reveals its legitimate place in the current lexicon of low carbon building design. The second half of the book sets out a series of cutting-edge case studies of different building types constructed in concrete. 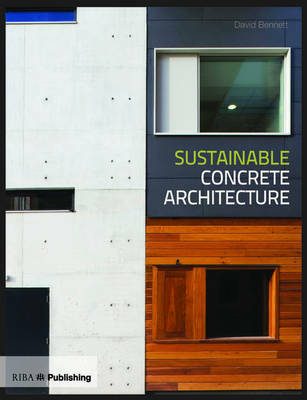 The inspirational images and focused commentary conclude this refreshingly challenging reappraisal of concrete in the debate about sustainability.